Mary Ann Champagne, MSN, CNS, FAHA, FPCNA is a clinical nurse specialist and the nurse coordinator for the Stanford University Medical Center’s Preventive Cardiology Clinic. Ms. Champagne received her Bachelor of Science degree from Seattle University and her Master of Science degree with a specialty in adult cardiovascular nursing from the University of California, San Francisco. She has spent the majority of her professional career in the area of risk reduction and prevention of cardiovascular disease; starting out in the coronary care unit and moving in to cardiac rehabilitation and then to primary and secondary prevention. She was one of the nurse coordinators in the Stanford Coronary Risk Intervention Project (SCRIP). This was an angiographic regression trial that utilized nurse case managers to implement an aggressive multiple risk factor reduction intervention in patients with coronary artery disease. She has been a medical supervisor in the local cardiac rehabilitation program for over 30 years. She also lectures in subjects related to global cardiovascular risk reduction and disease prevention with an emphasis on dyslipidemia and hypertension. Ms. Champagne is one of the founding board members of the Preventive Cardiovascular Nurses Association. She served as president of PCNA for two terms and has also been co-chair for the annual symposium. 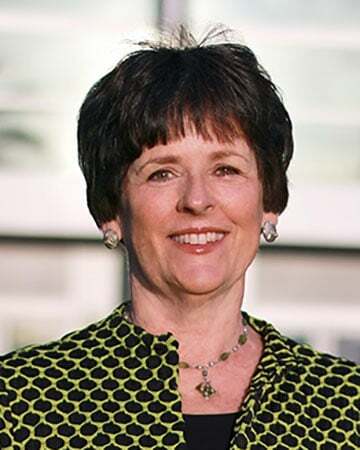 She continues to serve on the Board of PCNA and has been involved in a variety of activities, including serving as chief editor of “A Pocket Guide: National Guidelines and Tools for Cardiovascular Risk Reduction.” Ms. Champagne has been a member of the Cardiovascular Nursing Council of the American Heart Association (AHA) since mid 1980’s. She has supported many of the local, state and national AHA initiatives. In November 2004, she was designated as a Fellow in the AHA.